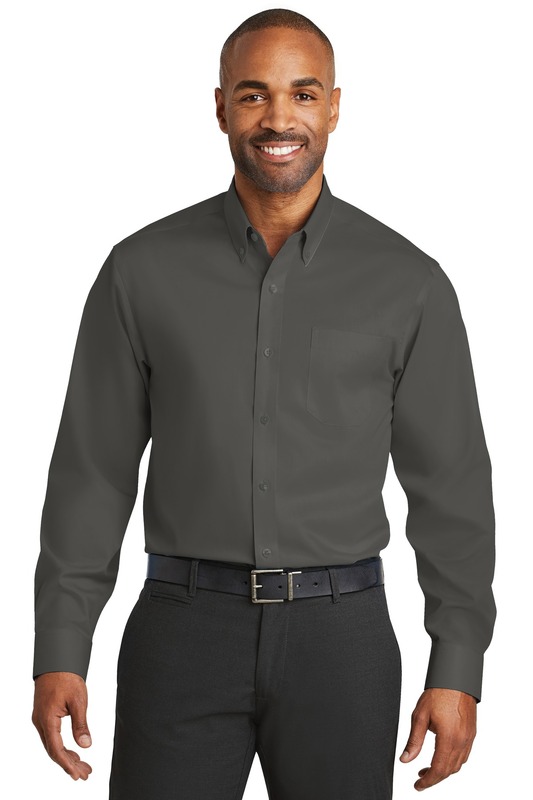 Always look your bestÂ¿without the ironÂ¿in this elegant twill shirt crafted from a 3.4-ounce, 55/45 cotton/polyester blend and treated with a non-iron finish. With supreme color retention and uncompromising style, it is also an exceptional value. Features pucker-free taped seams, mitered adjustable cuffs, Red House engraved buttons and monogram on right sleeve placket. 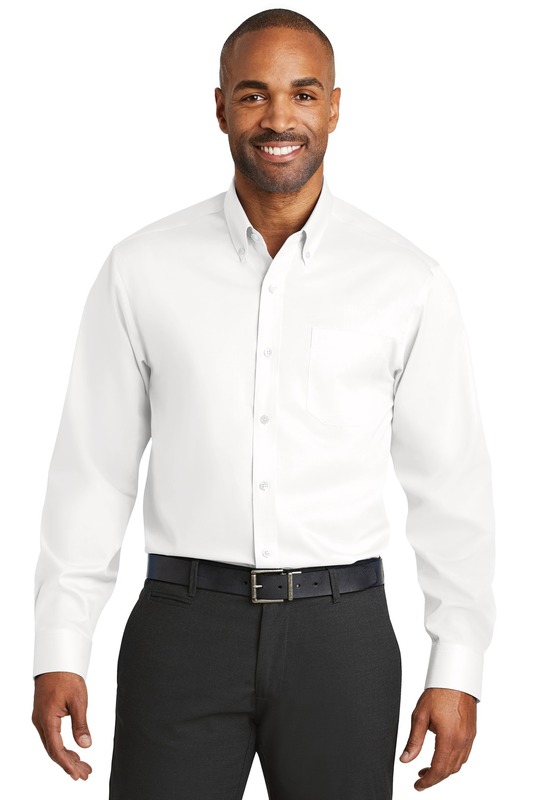 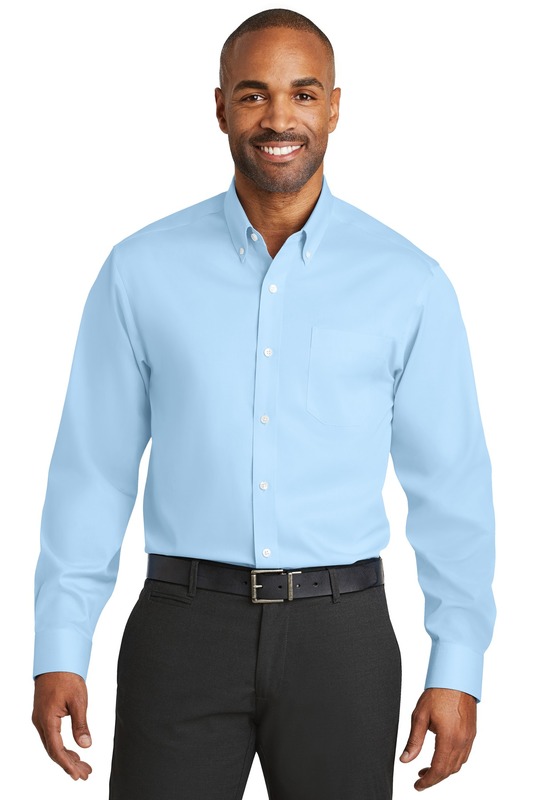 Button-down collar, left chest pocket and back shoulder pleats.